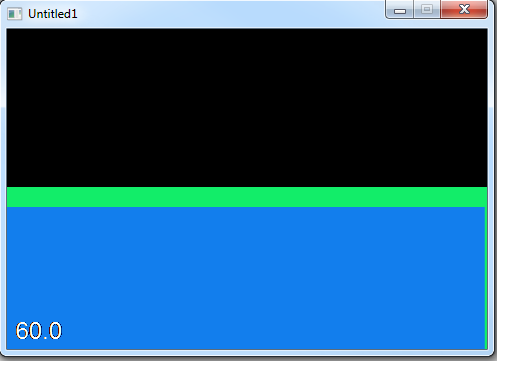 Whenever I try using a ParallaxScrollingBackground item, the background ends up being offset. 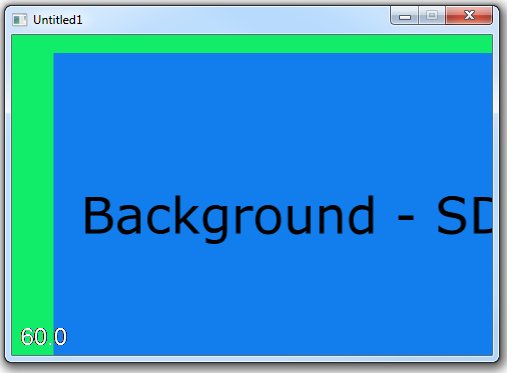 Here is my code for a static background. Which outputs https://i.imgur.com/K0nxgMO.png which is correct. yields https://i.imgur.com/2wzGnz7.png which is offset by a bit for some reason. The blue area is the safe zone and the green is the 16:9 and 4:3 zone. It seems like it should be a simple fix but I just can’t get it to work correctly. 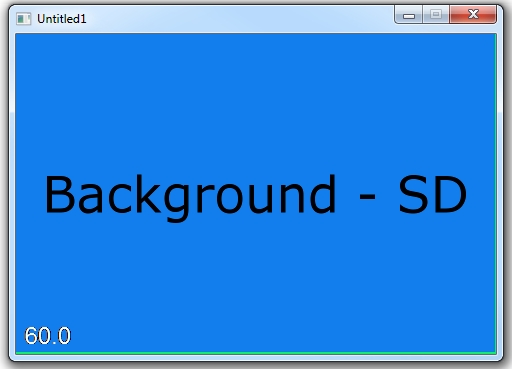 the ParallaxScrollingBackground has no width & height set, which is why centering does not work. Did you change the resoultuion in your last screenshot at runtime, or is this the result that is shown when you start your application with the GameWindow size 480×320? All the screenshots are the default 480×320. Also, when I use the ctrl + 7 preset resolution (1024, 768), there is a black strip on the top of the screen. That is the only preset resolution which has that black strip. you use an image for the ParallaxScrollingBackground which is not 480*320 but 570*360 including a safe area based on on the documentation. The image is set to x,y of the scene and is bigger than the scene so you need to move the ParallaxScrollingBackground to the left (360-320)/2 and the top (570-480)/2 based on the size difference of your image to the scene. We will include an alias to the image used in the ParallaxScrollingBackground in the next Daily Build so it will be easier to obtain the image size, but for the moment you can use your numbers hardcoded. Wow, thank you so much! This worked perfectly. We will probably release it next week, in the meantime you can use the fix mentioned by David.